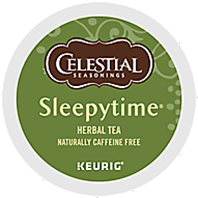 A comforting blend of chamomile and spearmint creates a lullaby of tender flavor to soothe your senses. The part of your day shared with Sleepytime is like coming home to find a friend waiting for you by the fire. There's no calm like the sigh from the spirit when you take this moment for rest and reflection... there's no time like Sleepytime.